The 45 year wait is over! Liam MacCarthy will be spending the winter in Limerick after the Treaty County beat Galway by 3-16 to 2-18 in a pulsating final at Croke Park. Tom Morrissey's goal after stealing the sliotar away from Gearoid McInerney gave the reigning champions a mountain to climb but truth be told, Galway were second best for the majority of the afternoon. At half-time, the score was 1-10 to 0-9 as Limerick led by four points - Graham Mulcahy's goal wasn't pretty but damn was it effective - to give John Kiely's men a deserved lead at the break. Joe Canning slotted over four points for the Tribesmen in the first half but both sides hit 21 wides throughout. This being said, Limerick refused to be deterred in the second-half and they started at a blistering pace. After Morrissey's goal gave them one hand on the trophy, Shane Dowling's goal in the 68th minute made it 3-15 to 0-16. 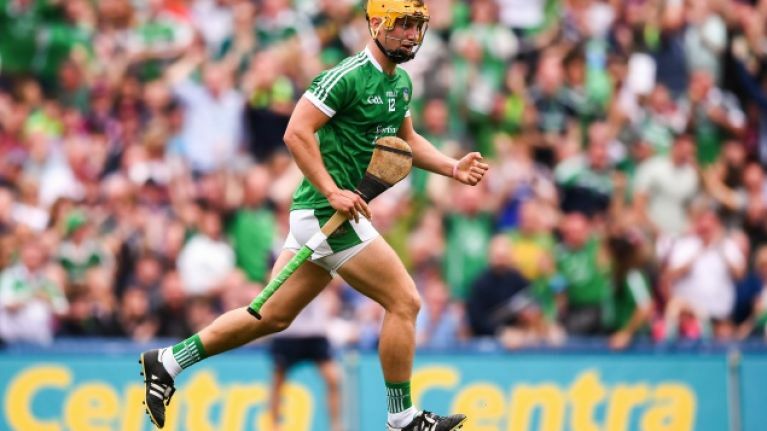 Those eight minutes of extra-time seemed like an eternity though and the Limerick nerves were tested when Conor Whelan's goal gave the defending All-Ireland champions a lifeline to make it a five point game. Joe Canning's rocket made it a two point game as the Portumna man brought his personal tally to 1-9 for the afternoon. At this moment, all the momentum was with Galway and Niall Burke's strike made it a one point game. Graeme Mulcahy slotted one over for Limerick to stem the Galway onslaught but the champions came back thanks to Canning again. Ultimately, it all came down to one final free and after Canning lofted it into the area, Limerick's defence just about managed to hold on in one hell of a final. Here are the goals from a truly memorable match.